Twenty years after her mother’s death, Loli Greene is hired by a nearly bankrupt theater to travel across the United States and teach tired, toxic teenagers to tap into their creative unconscious so that they might better understand both their ancestor's world and their own. During her travails, Loli uncovers secrets about her past that change her troublesome present into what may become a perfect future. While teaching in a town in the Midwest, she meets a mother and daughter whose lives she transforms and whose love, in turn, transforms her. In an occasionally raunchy, always entertaining novel, this uplifting work follows a woman who finally figures out how to navigate and take control of her life. Lois Walden has worked with major artists such as Diane Warwick and Jane Fonda, and, as part of the singing group The Sisters of Glory, performing with Chaka Chan at the Vatican for the Pope. She co-produced the group's critically-acclaimed album Good News in Hard Times, for Warner Bros, and was the lyricist for American Dreams Lost and Found, based on the book by Studs Terkel. Her life and music have been profiled on the CBS shows Good Morning America and Sunday Morning. 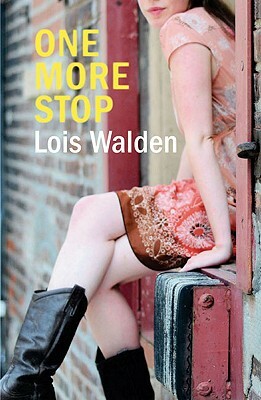 Ms Walden is currently writing her second work of fiction. This is the author's first novel.